Make Plans NOW to Join us for the 2018 Zombie Walk! This year’s theme is “At the Movies” – come dressed as your favorite movie character or actor! Prizes awarded in several categories for BEST costume! This year’s Parade Route will begin in the parking lot directly behind the El Riad Shrine. 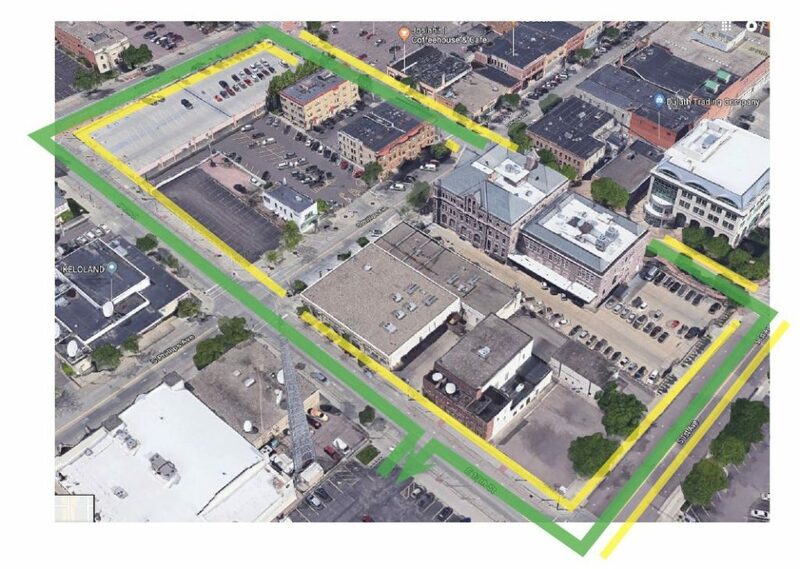 Due to this year’s route there can be no motorized vehicle floats, but it will provide a variety of wonderful spectator viewing points including the areas highlighted below in yellow along the green parade route!